Hundreds of students from Laddie A. Decker Sound Beach School in the Miller Place School District recently celebrated the school’s annual Give Back Day, during which they hosted local heroes and thanked them for their service. 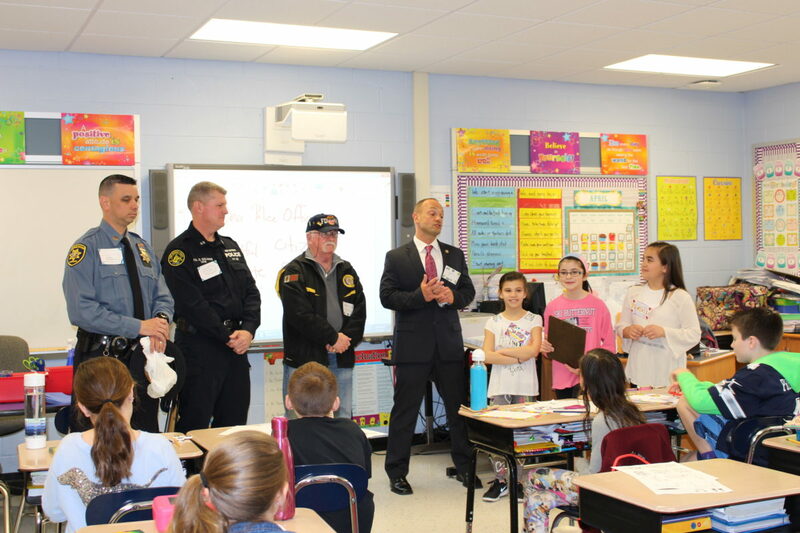 More than 50 local police officers, firefighters, veterans and soldiers were in attendance and spoke with students about their careers and heroic experiences. Students in each class presented the visitors with signed posters, hand-drawn Thank You cards, letters, drawings and crafts to show their appreciation. They also performed musical pieces to serenade the visitors. The event was organized by students in the school’s Service Club under the direction of Laddie A. Decker Sound Beach School teacher Ms. McCann, and is one of many Miller Place School District initiatives to help students connect with the community in positive, constructive ways.